Residents in Garwood and Westfield, N.J., as well as surrounding areas, enjoyed a free family movie night on September 17, 2017. This year, the event was held at the Garwood Family Center Y Field and presented by the Greater Westfield Area Chamber of Commerce, the Borough of Garwood, the Westfield Area YMCA, and Spencer Savings Bank. 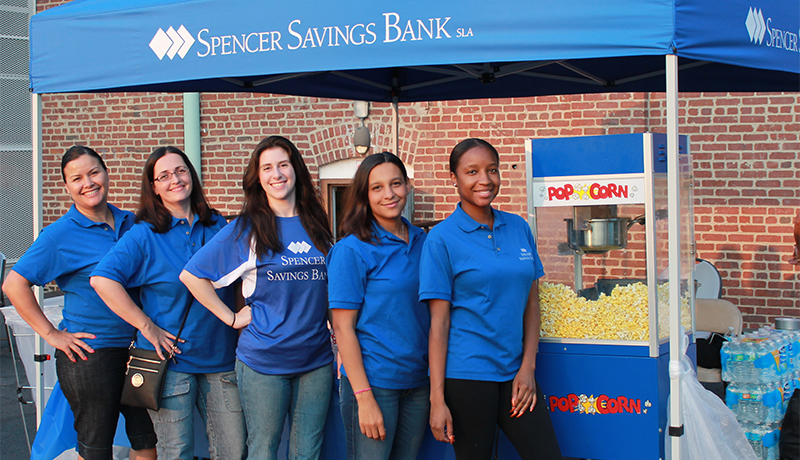 The event was part of Spencer’s annual “Movies Under the Stars” series, which has become a family staple in the community over the years. Families gathered for a moonlight screening of the 3D-animated hit musical comedy from Illumination Entertainment, Sing, starring the voices of Matthew McConaughey, Reese Witherspoon, Seth MacFarlane, Scarlett Johansson and many other stars. Free pizza, popcorn, beverages and glow sticks were provided, and a Good Humor ice cream truck was also there. Combining two of the best parts of summer–great weather and going to the movies–Spencer’s “Movies Under the Stars” attracts thousands of viewers across Northern N.J. each year.